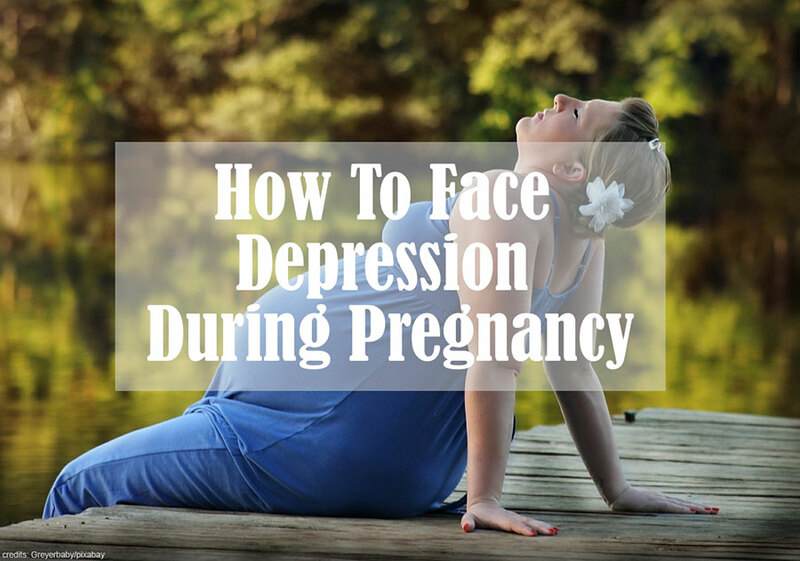 Home / Pregnancy / Antepartum Depression: How To Face Depression During Pregnancy. Antepartum Depression: How To Face Depression During Pregnancy. Antepartum Depression is a medical term for a condition of depression during pregnancy. 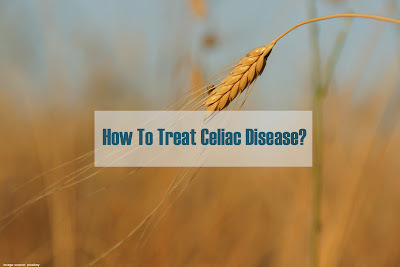 It's a condition that commonly occurs in most women who are in pregnancy. About 10-20% of women experience depression during pregnancy. Pregnancy should be one of the happiest moments in a woman's life, but not a few women go through her pregnancy with fear, sadness, anxiety to the extent of depression. A study was conducted involving 8,200 respondents of pregnant women. The researchers found that two-thirds of the respondents experienced acute depression. Depression is a mood disorder that affects women at one point in their lives. This condition can also affect pregnant women. Postpartum depression, depression that engulfs the mother after giving birth to a baby or baby blues may be much better known, but mood disorders during pregnancy itself are more common in pregnant women than previously thought. Depression during pregnancy is often not detected. Depression during pregnancy is often not properly diagnosed because people think that the symptoms shown only in other forms of normal hormonal changes occur during pregnancy. Therefore, health care providers may be less responsive to investigating the psychological condition of pregnant women, and a pregnant woman may feel embarrassed to discuss the conditions she is experiencing. As many as 33 percents of pregnant women show symptoms of depression and anxiety disorders, but only 20 percent of those who seek help. It must be realized that depression is not the fault of a pregnant woman. Robin Muskal Ph.D. said a postpartum depression counselor from New Jersey stated that pregnant women and their partners need to understand that they do not need to blame themselves or blame each other when mood changes occur. There are many factors that trigger mood swings during pregnancy, but none of the factors caused by these pregnant women. Pregnant women who are depressed should not blame themselves and feel lonely. Because in fact, various mental health symptoms are complications that commonly occur during pregnancy and childbirth. For this reason, couples must always accompany women who are pregnant and give their best support. Don't also be a weight enhancer, by often complaining to couples who are pregnant. Motivation, jokes and soothing words can be one of solace that lowers the chances of sustained depression. Signs and symptoms of depression in pregnancy. It may be difficult to diagnose depression during pregnancy because some depressive symptoms can overlap with classic symptoms of pregnancy, such as changes in appetite, energy levels, concentration, or sleep patterns. Causes of Depression During Pregnancy. Although the accurate incidence rate of depression in pregnant women in Indonesia is not known exactly, depression in pregnant women, also known as antenatal depression, affects 10-15 percent of women in general. Affect on babies if you experience depression during pregnancy. The risk to infants in the fetus from mothers who experience depression or anxiety during pregnancy, including low birth weight, preterm birth (before 37 weeks), low APGAR score, and respiratory problems and anxiety. However, it does not rule out the possibility that depression that afflicts pregnant women will also go down to the fetus. Rebecca M. Pearson, Ph.D., from the University of Bristol in the UK, and her research team used data from more than 4,500 patients and their children in a community study. The researchers concluded that children born to mothers who experienced depression during pregnancy, on average, were 1.5 times more prone to depression when they were 18 years old. While the risk of genetic ancestry can be one of the physiological consequences of depression experienced by the mother can enter the placenta and affect fetal brain development. Research also shows that babies from prolonged depressed mothers are more likely to be irritable, more fussy, less active, less interested, and more anxious. The danger of ignoring stress and depression during pregnancy. Excessive stress in pregnant women can lead to depression. If not treated properly, depression during pregnancy can adversely affect pregnancy and the fetus. These are the risks that might arise if depression during pregnancy/Antepartum depression is ignored. How to overcome depression during pregnancy. If you feel depressed while pregnant, do the first few treatments to help you overcome depression. Take care and treat yourself. Make this the top list that must be done as caring for yourself is part of the effort to care for your baby. When your baby is born, you no longer have much time for yourself. Get enough rest. The effect of the lack of sleep greatly influences the physical and psychological abilities in dealing with stress and daily challenges. Creating the same bedtime routine every day is a good first step. Pay attention to food intake and nutritional adequacy. A diet that involves a high intake of sugar, refined carbohydrates, caffeine, chemical additives, and low protein can cause physical and psychological health problems. From now on, keep your diet and make sure you pay attention to your daily nutrition. Psychotherapy. Hormonal changes can make some women more susceptible to stress and depression during pregnancy. As a result, overcoming the condition becomes more difficult compared to women who are not pregnant. Then you need to seek help from a professional therapist to relieve stress and depression. Usually, a psychologist or psychiatrist will suggest psychological therapy in the form of cognitive and behavioral therapy (CBT), which is a type of psychotherapy where you will meet privately with a therapist. In this therapy, you and your therapist will work together to change your mindset and behavior to be more positive and healthy. The sooner you see a therapist, the results will be more pronounced. Exercise regularly. It can help you get through difficult times with a fresher mind. When you exercise, your body produces endorphins and brain neurotransmitters that will make you feel more relaxed and positive. Try to exercise in an open place exposed to sunlight. It can help you feel more calm and happy. Try sports such as yoga, gymnastics, swimming, or walking. Acupuncture. A recent study conducted by the Stanford School of Medicine that acupuncture therapy can relieve symptoms of depression in pregnant women. In this traditional therapy, pregnant women will pierce with special needles at sufficient points to relieve depression and improve mood. It only feels a warm sensation or a mild tingling sensation. Some people don't even feel anything. Acupuncture has also been proven safe for pregnant women. Omega-3 consumption. Over the years, the benefits of omega-3 fatty acids are known to help reduce symptoms of depression and can function as a natural mood booster. Many omega-3 fatty acids are contained in oily fish and walnuts. Meanwhile, if you choose to take omega-3 in supplement form, you should first consult your obstetrician. Antidepressant medication for depression during pregnancy. Do not take antidepressant medication without a prescription from a doctor or psychiatrist. If a psychiatrist prescribes an antidepressant, discuss it first with your obstetrician. Certain types of antidepressants are not too risky for pregnant women. Drugs with relatively few and safe side effects for women contain, among others, selective serotonin releases (SSRI) inhibitors such as sertraline, citalopram, and fluoxetine. What you need to watch out for is paroxetine (for example the Paxil brand). This antidepressant drug is not recommended for pregnant women. Antidepressant drugs are just a choice, not a mandatory thing. If psychological therapy and other methods can still help, you don't need to take antidepressant drugs. Side effects of taking antidepressant drugs during pregnancy that may arise in infants are respiratory problems, low blood sugar (hypoglycemia), and babies appear nervous at birth. The possibility of antidepressant drug side effects in infants is very low. Instead of the risk of untreated depression, it is better for pregnant women to follow the advice of psychiatrists and obstetricians. Pregnant women who suffer from severe depression, dissociative identity disorder (multiple personalities), or anxiety disorders should not stop treatment if they have not been instructed by a psychiatrist and obstetrician. Never try to handle it yourself if you experience depression during pregnancy / antepartum depression. A depressed woman often does not have enough strength or desire to care for herself or her developing baby. Don't let this happen in a protracted manner. Contact the relevant specialist doctor immediately. Also, read Some Symptoms of Postpartum Depression You Must Know.